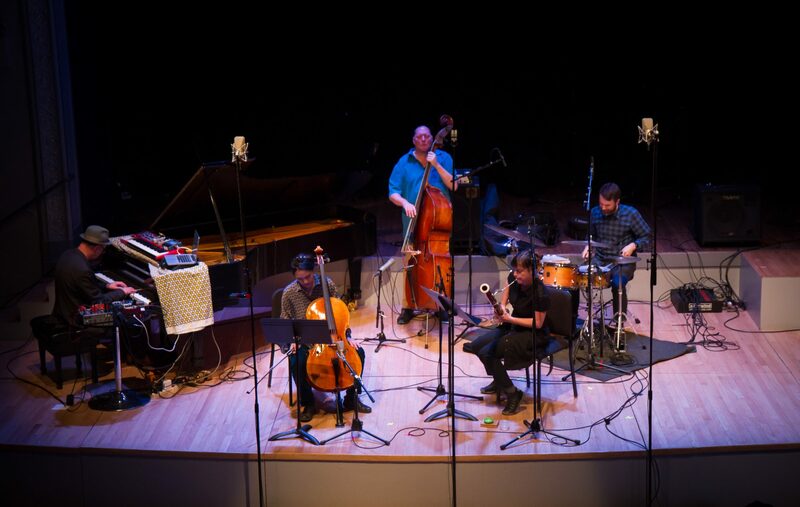 with guest soloists Peggy Lee, Sara Schoenbeck, Nate Wooley, and Briggan Krauss. 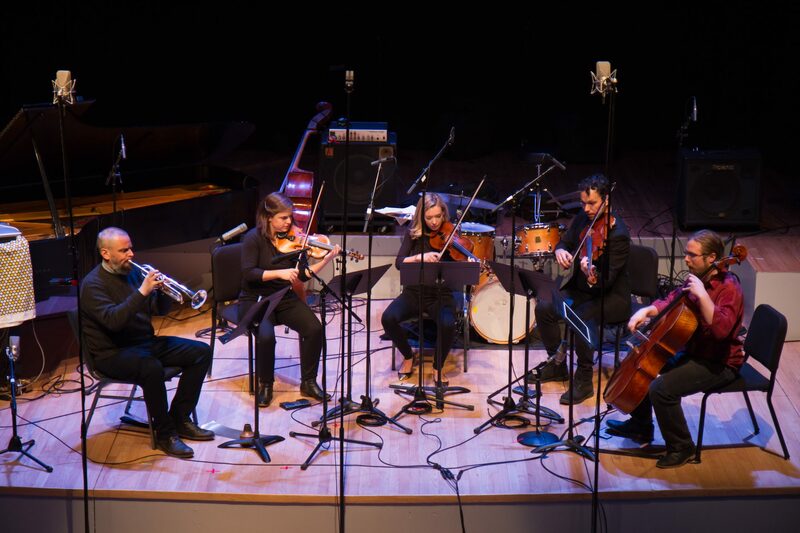 The Mivos Quartet performs These Hills of Glory: for String Quartet plus improvising soloist, in 4 movements. Typically this piece has one soloist for all four movements, but on December 5th at Roulette each movement will have a different soloist. 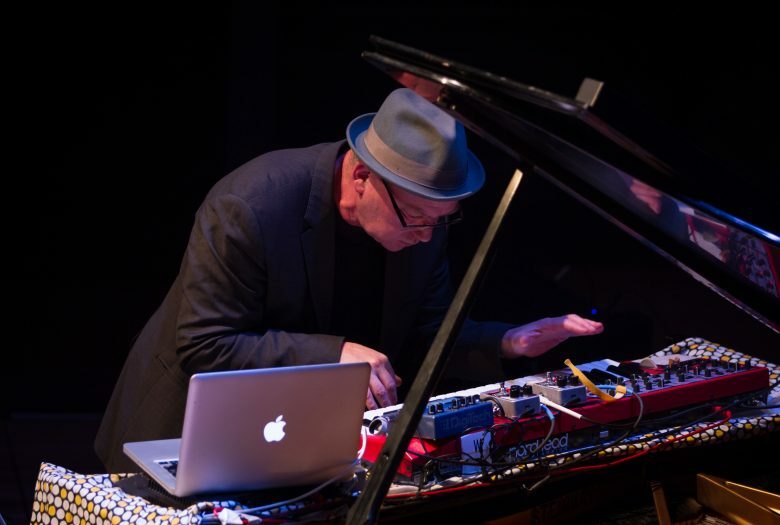 Composer/musician Wayne Horvitz celebrates two important new albums released in fall 2018. 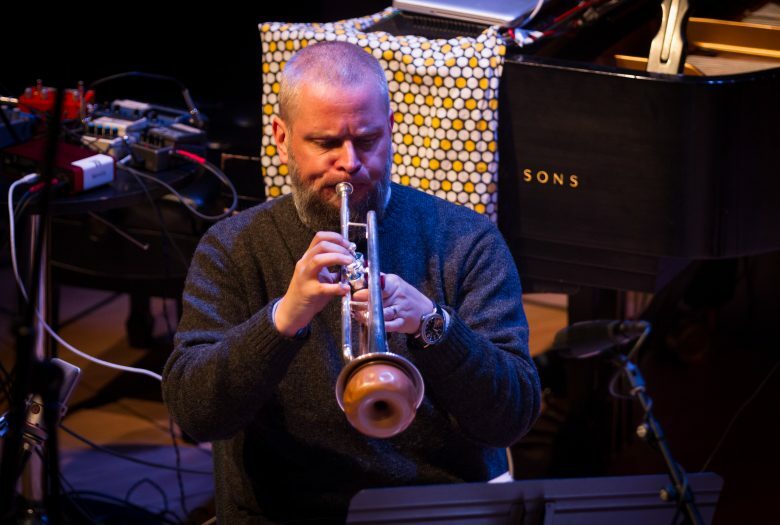 Known for his multifaceted musical personality, Horvitz displays his remarkably singular and distinguishable sound in his debut trio album The Snowghost Sessions (Songlines) and his debut orchestral recording Those Who Remain (National Sawdust Tracks). The Snowghost Sessions features music created at Snowghost Studios in the spring of 2015 with Eric Eagle (drums) and Geoff Harper (bass). Taking advantage of a week’s free studio time at a state of the art studio in Whitefish Montana, the sessions were devoid of any advance plan or expectation to even create a final outcome. 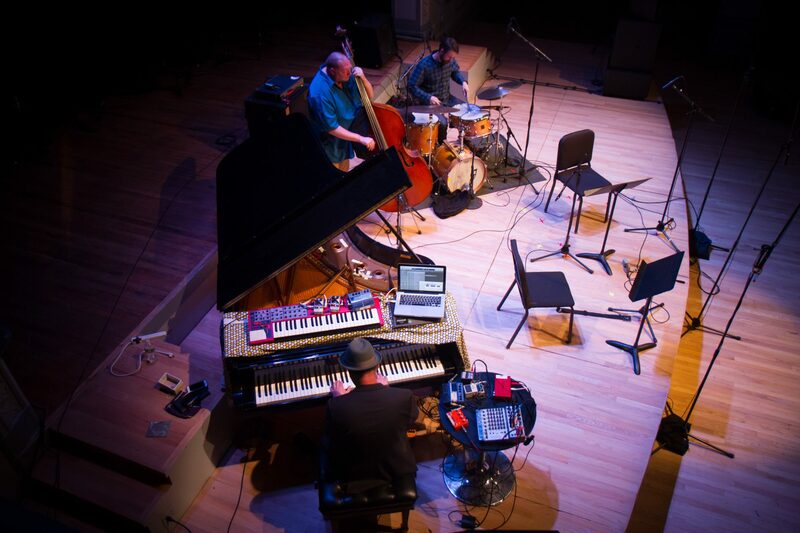 Augmented by electronics, live processing, and keyboards, the piano trio then continued to work with final mixes happening in Seattle. Originally composed in 2004, These Hills of Glory is the fourth string quartet by Horvitz, and the second quartet to include improvising soloists. In 2008, These Hills of Glory received the NEA American Masterpieces prize. 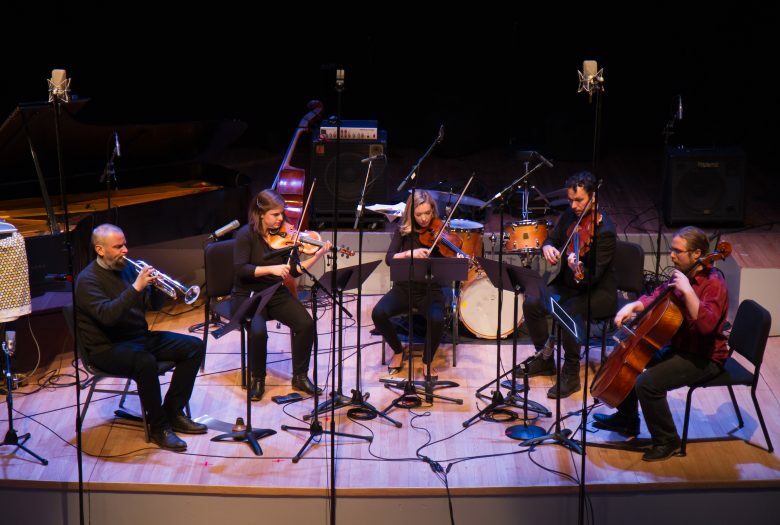 With funding from the NEA, a series of 8 concerts were presented, featuring the Odeon Quartet with various soloists, including Ron Miles, Bill Frisell, Eyvind Kang, Beth Fleenor, Peggy Lee, and violinist Carla Kihlstedt. 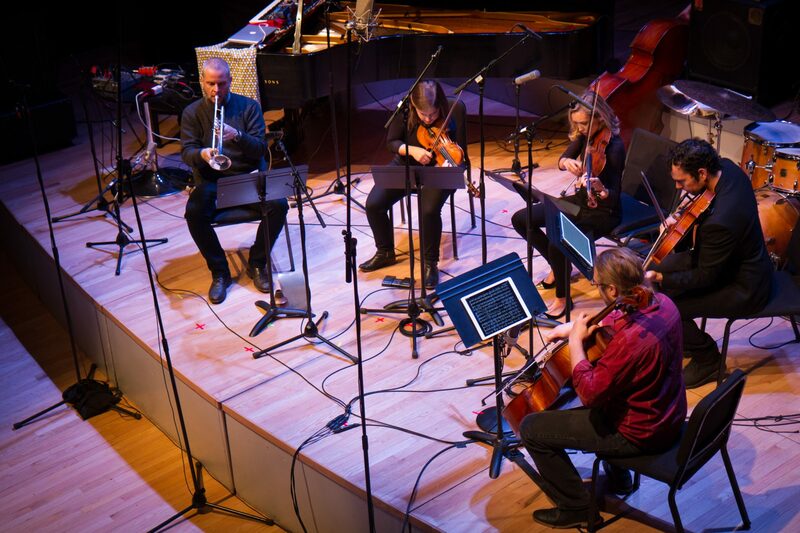 The work was released in October of 2018, featuring soloist Beth Fleenor on clarinet, and released alongside Those Who Remain: Concerto for Orchestra and improvising soloist, featuring guitarist Bill Frisell. The New York Times selects the track for their October Playlist. 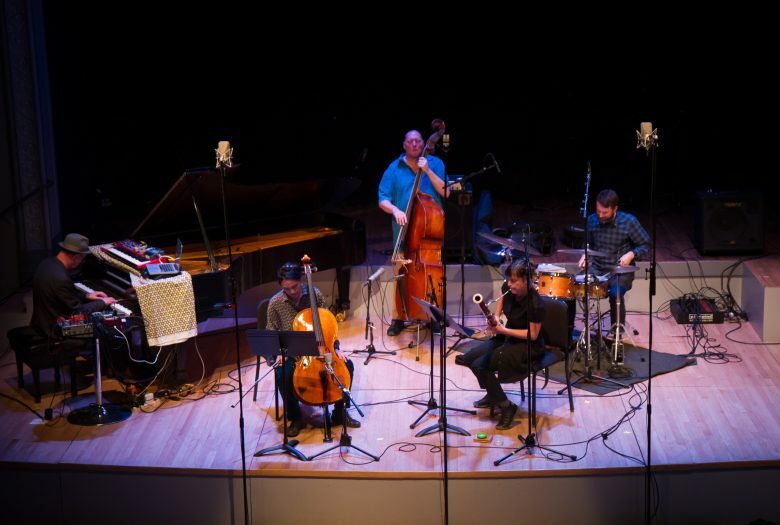 Recipient of the 2016 Doris Duke Performing Artist Award, composer Wayne Horvitz’s ensembles include The Snowghost Trio, Sweeter Than the Day, and the Royal Room Collective Music Ensemble. Mr. Horvitz’s commissioners include The Kitchen, The Seattle Symphony, Kronos, BAM, New World Records, The Flynn Theater, and Vienna Jazz. He has received 3 MAP Fund awards, the NEA American Masterpiece Award, 3 Artist Trusts fellowships and more. 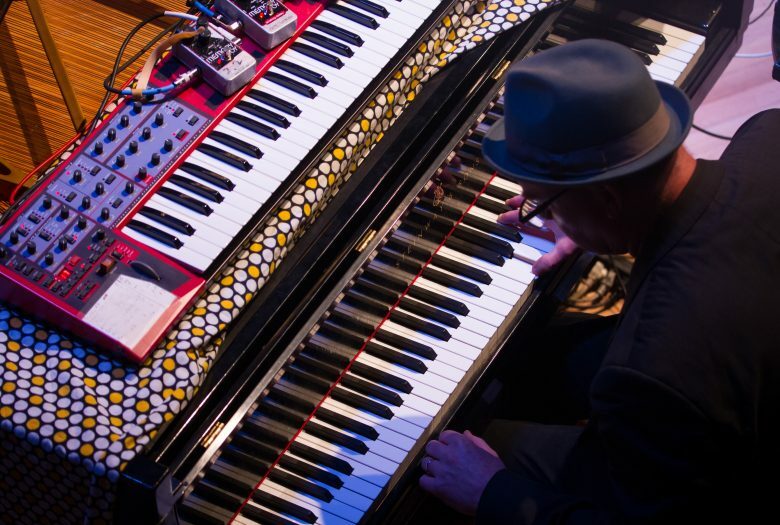 As a collaborator or producer, he has worked with Bill Frisell, Robin Holcomb, Butch Morris, Bobby Previte, George Lewis, Reggie Watts, John Zorn (Naked City etc. ), World Saxophone Quartet, Fontella Bass, John Adams, and Eddie Palmieri. Collaborators in theater, dance and film include Carey Perloff, Bill Irwin, Gus Van Sant, Paul Taylor, and Paul Magid. 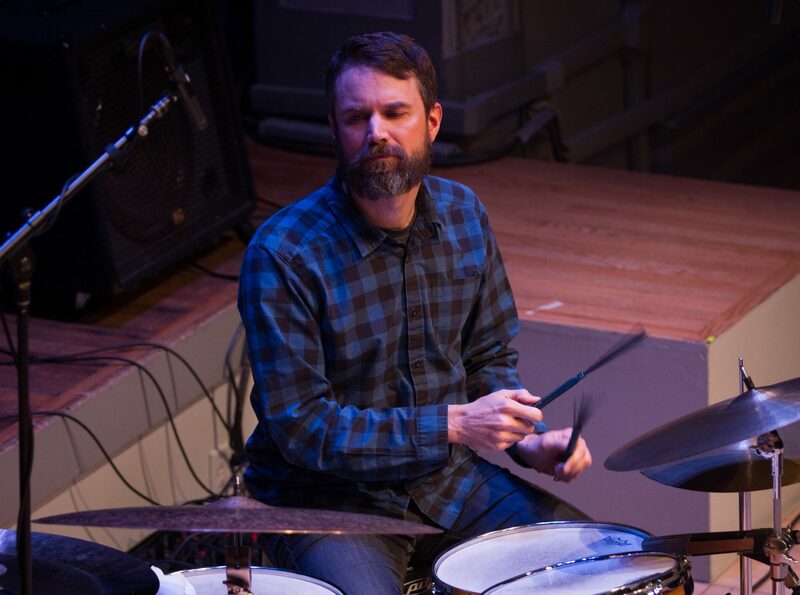 Seattle’s first call drummer, Eric Eagle has recorded with Jesse Sykes, Amy Ray, Wayne Horvitz, Mark Pickeral, Danny Newcomb, Dave Peck, and produced records with The Westerlies, Naomi Siegel, and The Seattle Symphony (featuring Bill Frisell) and others. 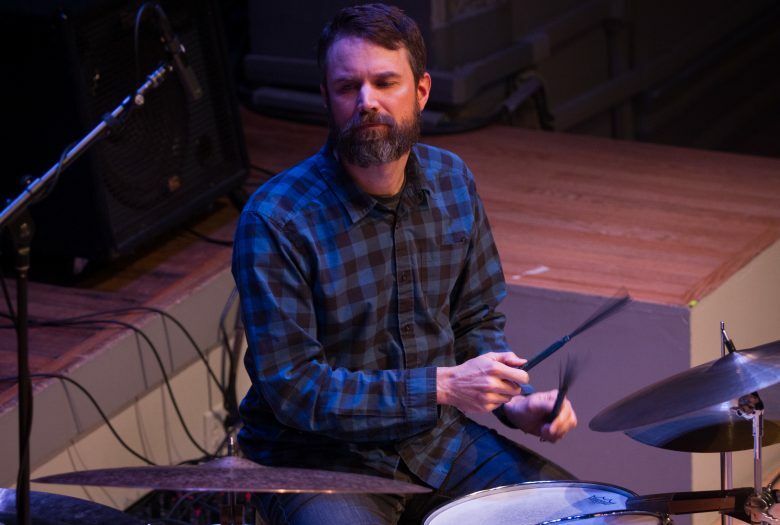 Geoff Harper has recorded and performed with, among others, Julian Priester, Evyind Kang, Timothy Young, Gary Bartz, Wayne Horvitz, BeBop and Destruction, Matt Cameron, Thomas Marriott and Stone Gossard. 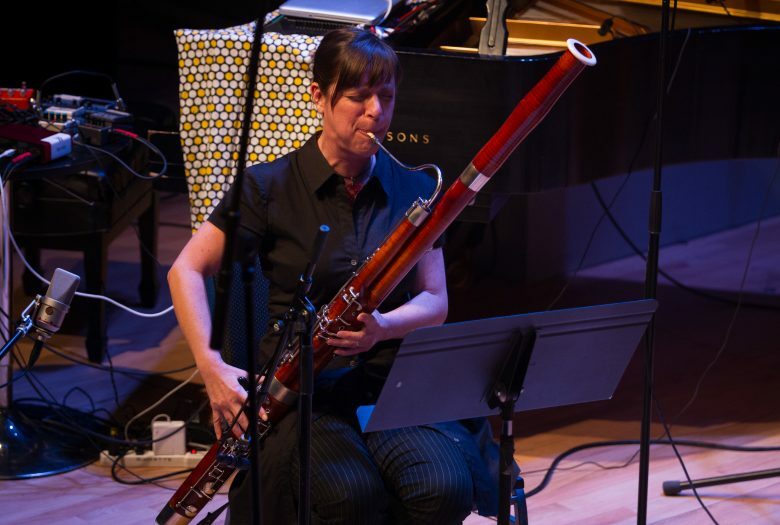 Sara Schoenbeck is a bassoonist who dedicates herself to expanding the sound and role of the bassoon in the worlds of classical, contemporary notated and improvised music. 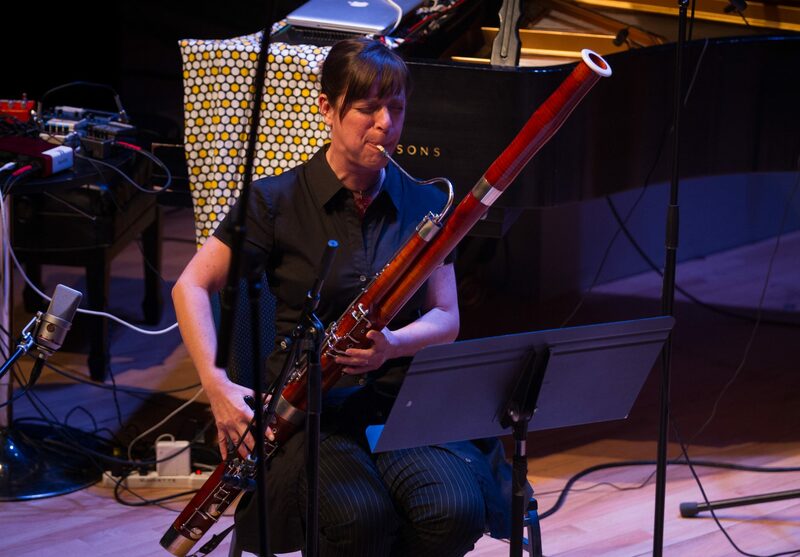 The Wire magazine places her in the “tiny club of bassoon pioneers” at work in contemporary music today and the New York Times has called her performances “galvanizing” and “riveting, mixing textural experiments with a big, confident sound.” Originally from California, Sara spent her time on the west coast freelancing in various orchestral bassoon sections such as Santa Barbara Symphony, California Symphony, Redlands, Mancini Orchestra, the Dakah Hip Hop Orchestra and touring as a member of creative music ensembles Gravitas Quartet with Wayne Horvitz, Ron Miles and Peggy Lee, Anthony Braxton’s 12+1(tet) and Vinny Golia’s Large Ensemble. Sara also recorded for various sound and film projects including the Matrix 2 and 3, Dahmer and Spanglish. Sara now calls Brooklyn home and performs regularly with Petr Kotek’s SEM ensemble, the composers group WetInk, Wordless Music Orchestra, Anthony Braxton’s Tri-Centric Orchestra, Gravitas, Harris Eisenstadt’s Golden State Quartet, Eve Risser’s White Desert Orchestra, Nels Cline Lovers Ensemble, Adam Rudoplph’s Go Organic Orchestra and the Michael Leonhart Band as well as performing with many creative and inspiring musicians in the New York scene and beyond including Roscoe Mitchell, the legendary musicians Butch Morris and Yusef Lateef, Wadada Leo Smith, Robin Holcomb, Matt Mittchell, Pamela Z, Taylor Ho Bynum, Joe Morris, Miya Masaoka, Ingrid Laubrock, Marty Ehrlich, Ben Goldberg, Stew and Mark Dresser to name a few. She has performed at major venues and festivals throughout North America and Europe, including Carnegie Hall, Lincoln Center Out of Doors, the Kitchen, Iridium, Disney Hall, the Kennedy Center, SXSW, New Orleans Jazz Festival, Newport Jazz Festival, Berlin Jazz Festival, Free Music Festival in Antwerp Belgium, Biennale Musica in Venice Italy, Montreal Jazz Festival, Ottawa Jazz Festival, the Vancouver International Jazz Festival, The Angel City Jazz Festival in Los Angeles and the San Francisco Jazz Festival. Briggan Krauss is a New York based saxophonist, composer and sound artist. He leads several of his own projects (H-alpha, 300, The Hungry Ghosts, Tactics Server, Micro Titans) as well as collaborating with many composers and improvisors on the New York creative music scene and around the world. Briggan has performed and recorded with Steven Bernstein’s Sexmob, John Zorn, Wayne Horvitz, Bill Frisell, Eyvind Kang, Robin Holcomb, Anthony Coleman, Medeski Martin and Wood, Skuli Sverrisson, Jim Black, Ikue Mori, Joey Baron, Kato Hideki, Satoko Fuji, The New York Composer’s Orchestra, Hal Willner, Joan As Police Woman, Antony and the Johnsons, Rufus Wainwright and many others. Cellist, improviser, composer Peggy Lee was born and raised in Toronto, Ontario. 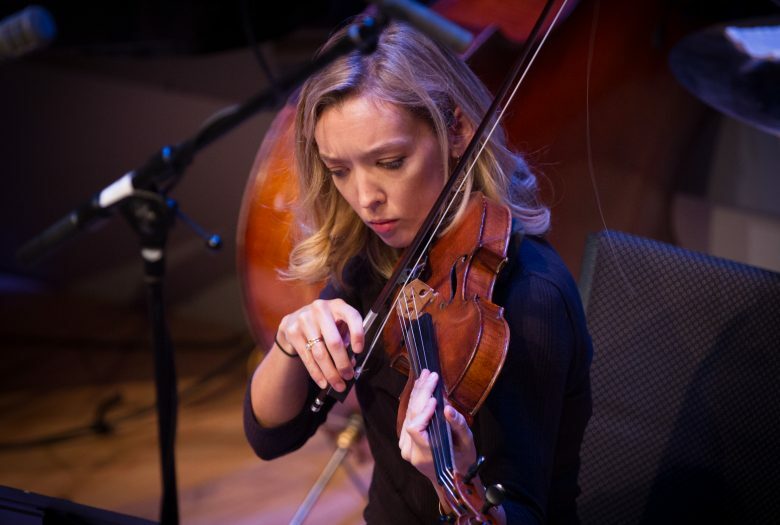 She studied classical cello, completing a bachelors degree in performance at the University of Toronto as a student of Vladimir Orloff and Denis Brott. She furthered her studies on the cello with lessons with Martha Gerschefski in Atlanta, Georgia. Peggy frequently collaborates with guitarists Ron Samworth and Tony Wilson and with her husband, drummer Dylan van der Schyff, as well as with many other longtime musical associates including Dave Douglas, Wayne Horvitz, Robin Holcomb, Veda Hille, and Lisa Miller. She also leads or co-leads a number of musical projects: The Peggy Lee Band, Film in Music, Waxwing (with Tony Wilson and Jon Bentley) and Beautiful Tool (with Mary Margaret O’Hara). She has also collaborated extensively in theatre and dance with companies and artists such as Ruby Slippers, Rumble Theatre, Presentation House, David Hudgins, Peter Bingham and Delia Brett. In 2005, Peggy received the Freddie Stone Award for integrity and innovation in music and in 2010 she was awarded a Jesse Richardson Theatre Award for outstanding composition. She currently resides in Vancouver, B.C.